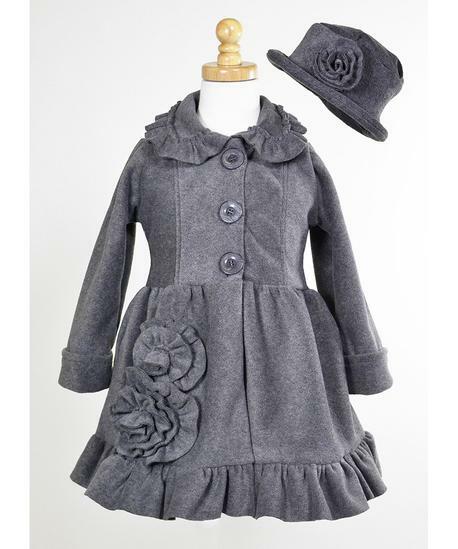 She will be the bell of the ball in this attractive fleece coat. 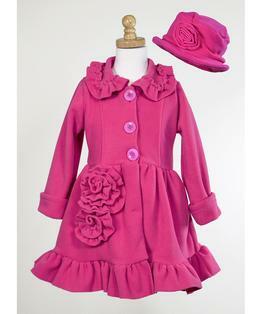 Delightful ruffles and flowers adorn this fashionable coat yet the soft fleece keeps it approachable and comfortable. Button close. Hat included. 100% Polyester. Machine Washable.